Killin&#39; Time, by Feli Tomkinson. Killin' Time, by Feli Tomkinson. 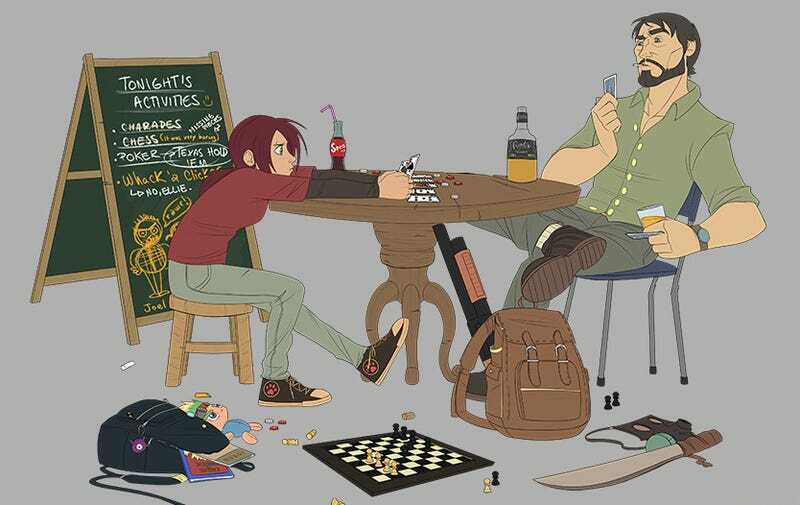 This piece of art was inspired by the game The Last of Us and just won its artist $400 after it was picked from a batch of submissions by Ashley Johnson, who voiced Ellie in the acclaimed PS3 game. See the rest of the winners of WeLoveFine's fan art design contest here. The winning designs are available for purchase as prints or t-shirts. Troy Baker, who played Joel, had a pick too, of course, as did the game's creative leads.